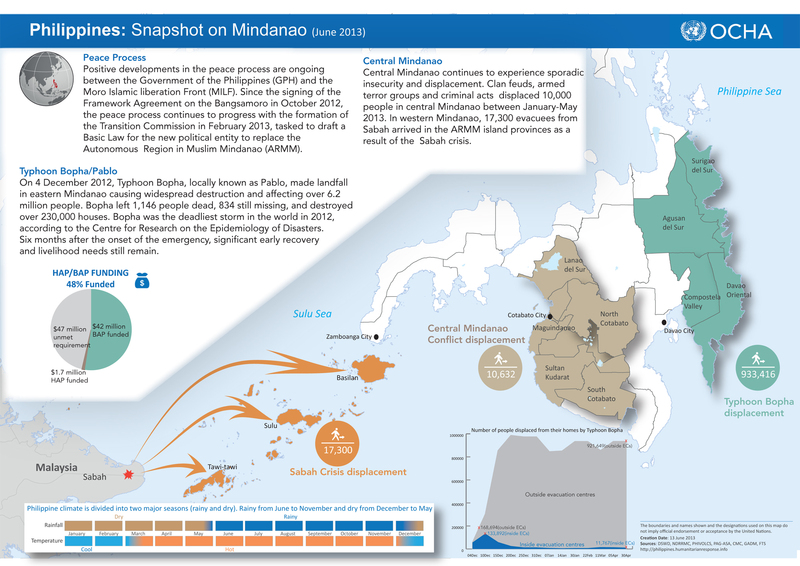 With the US and Australia issuing fresh travel warnings for the Philippine island of Mindanao earlier this week, Inside Investor looks at three events in the past year that have caused the displacement of about 1 million people, augmenting the already unstably nature of the island. The infograph below was published in June 2013 by the UN’s Office for the Coordination of Humanitarian Affairs (OCHA). Click to enlarge.